TAC is not a motor carrier organization per se, since its mandate is to deal with transportation across the board. However, evolving as it has from the Roads and Transportation Association of Canada, it still has a stronger involvement with road than the other transportation areas. Another TAC emphasis is urban transport of goods, services and people in consideration of urban land use. TAC supports research in transportation, and sponsors annual conferences on technical and policy issues in transportation. CCMTA is not an “organization” in the ordinary sense. In function, it is almost a regulatory agency, as many procedural directions are disseminated under its auspices. 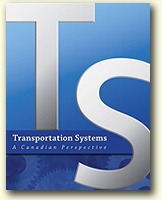 CCMTA has become a major conduit for decision making in motor transport regulatory areas in Canada. Policies such as the standardization of gross vehicle weights and dimensions have been developed through the council, and put into effect – sometimes just as strong recommendations, but often as governmental commitments. The latter occurs over the signatures of the Council of Ministers, who are members of the CCMTA board of directors. The CCMTA is quasi-government, with membership mainly consisting of federal, provincial, and territorial ministers responsible for transportation, and government officials working in support to those ministers, but having a secretariat outside of government. Stakeholder groups such as the Canadian Trucking Alliance are members and participate in the decision making process. CCMTA is staffed with professionals who coordinate both the research that is developed by government departments, cross-functional working groups or by consultants, and the activities of the CCMTA board, committees, and membership. The CTA is the national trucking association in place to provide both a lead and coordination role for trucking in Canada. Once a federation of the provincial trucking associations, it now also has direct membership from the trucking stakeholders. As a federation type organization, the CTA once basically depended on the input of the various provincial trucking associations. Its activities now also reflect direct input from trucking operating entities, and other involved parties, who are members of CTA. CTA is staffed with professionals who arrange and coordinate research, development of position papers, and work with government and other decision makers to establish a viable working environment for motor carrier transport, both nationally and internationally. Private carriage operators of Canada’s industry are represented by the PMTC. Its basic membership includes those individuals, partnerships or corporations who distribute or transport their own property by private truck, or those that lease trucks, trailers or personnel to private fleets, as a major part of their business. In representing these interests, the mandate of the PMTC includes promoting the safe and economic use of private trucking; promotion of regulations beneficial to the use of private trucking; representation of private trucking interests to legislative and regulatory bodies; being a source of information concerning private trucking; and promotion of reasonable taxation, licensing, and regulatory uniformity in Canada and between Canada and other jurisdictions. Associate membership in the PMTC is available to individuals, partnerships or corporations which have an interest in, or relationship with, the PMTC or its members, or parties involved in the for-hire carrier industry. ATA is the national representative organization of the U.S. state trucking associations. ATA has a primary role, and takes the lead in representing the interests and concerns of the trucking industry before Congress, state legislatures, and various agencies of the federal and state governments. ATA maintains a large professional staff, and funds and directs research for the trucking industry. It also maintains a major technical database, and publishes an industry weekly newspaper. They have a large base of very informative bulletins, guides, and reports on technical and policy issues in trucking, which they make available for a fee. Within the ATA structure there are motor carrier industry branch conferences specializing by types of operation. The conferences include, among others, household goods moving, tank trucking, and automobile carriers. The NPTC is the U.S. organization of private carriage parties, with similar coverage to the PMTC, but in the United States. CANACAR is the Mexican equivalent of Canada’s CTA and the U.S. ATA.